Last month, Americans drove away from Subaru dealerships in 3,716 new WRXs and STIs, a record for the Impreza-based hot-hatch duo. Year-over-year volume jumped 85% in July 2015, an increase of 1,711 units for the Subaru brand, which shot up 11% to 50,517 total sales, the first time since last August that Subaru Of America, Inc. has topped the 50K mark. So, is 3,716 sales a lot? By the standards of Camrys and CR-Vs and F-150s, no. Not even by the standards of Foresters and Outbacks. (Subaru set a July record with the Forester, 15,811 of which were sold.) Subaru remains an automaker focused on generating volume with high-riding crossovers and wagons: seven out of every ten Subaru USA sales in July were produced by the Forester, Outback, and XV Crosstrek, their three-best-selling models. But by the WRX/STI’s own standards, yes, July’s 3,716-unit total was prodigious. Here are three ways you can put the figure into context. Volkswagen sold 1780 copies of the GTI and 132 copies of the Golf R in July, 1912 hot Golfs in total. That’s little more than half the WRX/STI’s total. 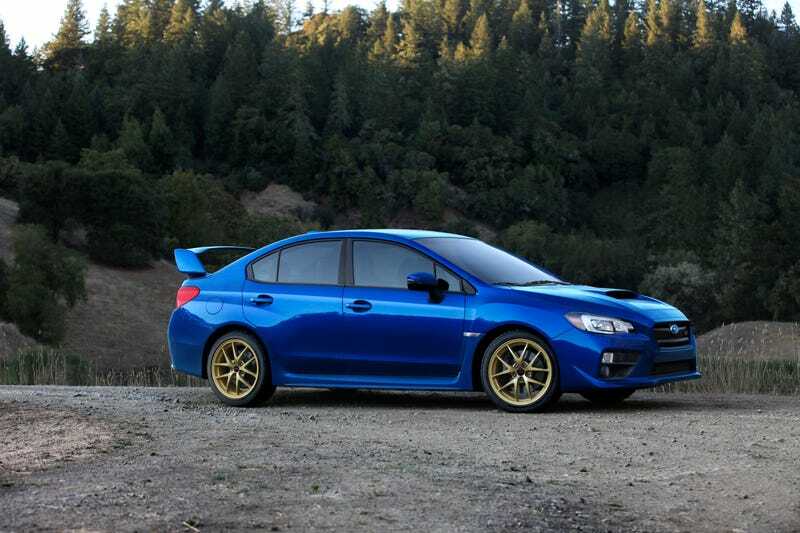 In July 2014, the WRX/STI accounted for 4.4% of all Subaru volume. In July 2015, that figure rose to 7.4%. Combined, Subaru and Scion sold 1583 BRZ (525) and FR-S (1,058) sports cars in July. They, whoever they are, say the sports car is dead. And it may well be, but the sports car market may simply be moving... toward cars like the WRX/STI. Timothy Cain is the founder of GoodCarBadCar.net, which obsesses over the free and frequent publication of U.S. and Canadian auto sales figures. Follow on Twitter @goodcarbadcar and on Facebook.